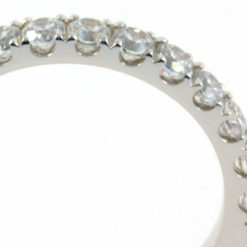 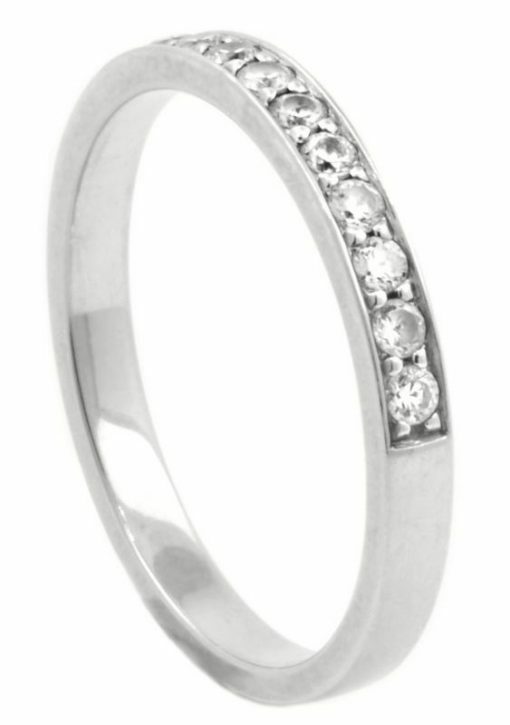 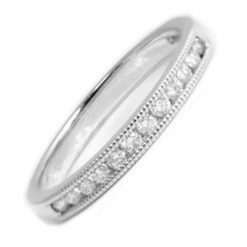 This is a beautifully proportioned channel-set diamond ring, set with 13 H/Si diamonds weighing 0.35ct. 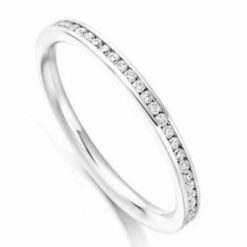 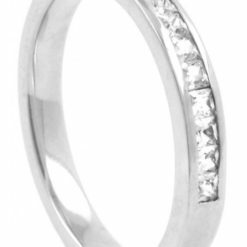 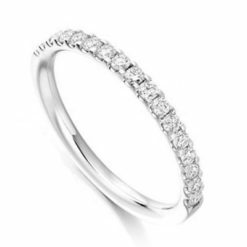 This is a beautifully proportioned channel-set diamond ring that looks great on its own or as an elegant companion to an engagement ring. Featuring thirteen round brilliant diamonds each held securely in a four claw setting within a channel setting. 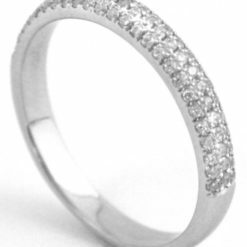 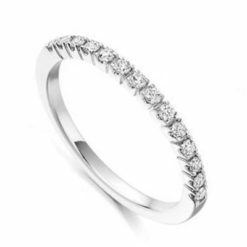 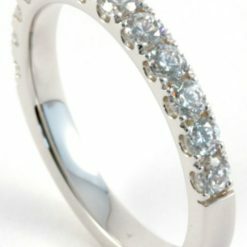 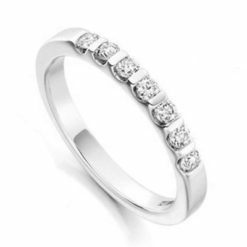 The total carat weight is 0.36ct of H/Si quality diamonds and the ring measures approximately 2.5mm.